treat and prevent cardiac disease in thousands of patients a year. help patients in Bucks County recover from chronic wounds. treat 30,000 patients every year in the community's busiest ER. Welcome to Lower Bucks Hospital! Only one Bucks County hospital was founded by a community grassroots movement in 1954 and is known for an outstanding medical staff, skilled and compassionate nurses, the very latest in advanced technology, and a beautifully wooded 36-acre medical campus. Located in historic Bristol, PA, Lower Bucks Hospital is renowned for its cardiology expertise, surgery, orthopaedics, behavioral health, and sports medicine, as well as ground breaking heart care. From diagnostic radiology to daily rehabilitation, we're the Bucks County hospital and physicians who are saving lives, every day. cardiac tests annually. Schedule an appointment today! our surgery center is one of the highest-rated in the U.S.
has helped patients achieve fuller, healthier rest. Whatever your state of health may be, our staff is prepared to meet your needs. For Hospital, MRI and Physical Therapy! Truven Health Analytics named Lower Bucks Hosptial a Top 115 Hospital in the Nation. The Joint Commission named Lower Bucks Hospital a Primary Stroke Center. 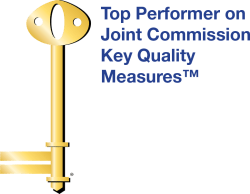 2015 Join Commission Top Performer for Key Quality Measures in Heart Attack, Heart Failure, Surgical Care, Immunizations and Pneumonia.